The Gay Almanac: How Does Your City Rate Regarding LGBTQ Rights? How Does Your City Rate Regarding LGBTQ Rights? Missoula, Montana, and 67 other cities got perfect scores of 100. Jefferson City, Missouri, and 10 other cities got a big fat 0. Find out how your city rates when it comes to treatment of its LGBTQ population. Click here for the interactive data base of more than 500 U.S. cities. 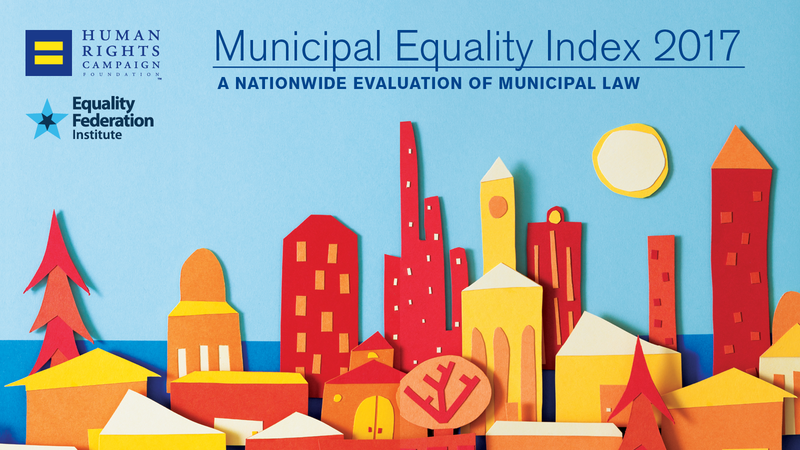 In partnership with the Equality Federation Institute, the Human Rights Campaign released its sixth annual Municipal Equality Index (MEI), the only nationwide rating system of LGBTQ inclusion in municipal law, policy, and services. The 2017 MEI reveals new heights in municipal LGBTQ equality in nearly every regard. 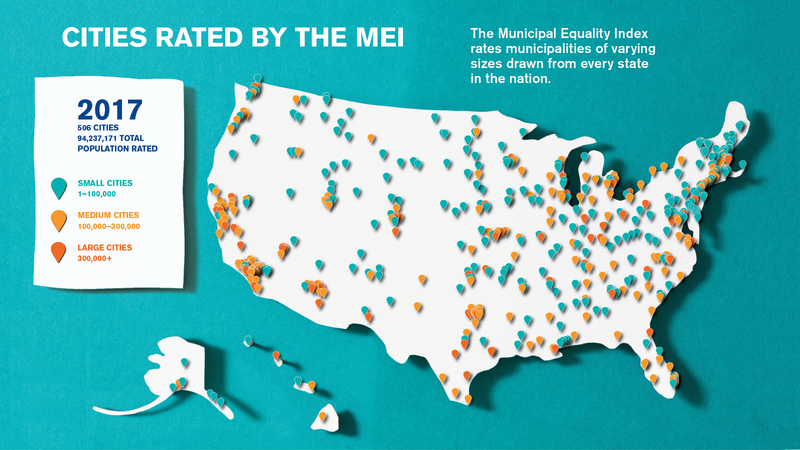 A record 68 cities earned perfect scores for advancing LGBTQ-inclusive policies and practices -- up from 60 in 2016, 47 in 2015 and 11 in 2012, the first year of the MEI. And in the current political reality, welcoming cities are more important than ever. "28 scored a perfect 100" - one of those is my city (philly); so proud for us!